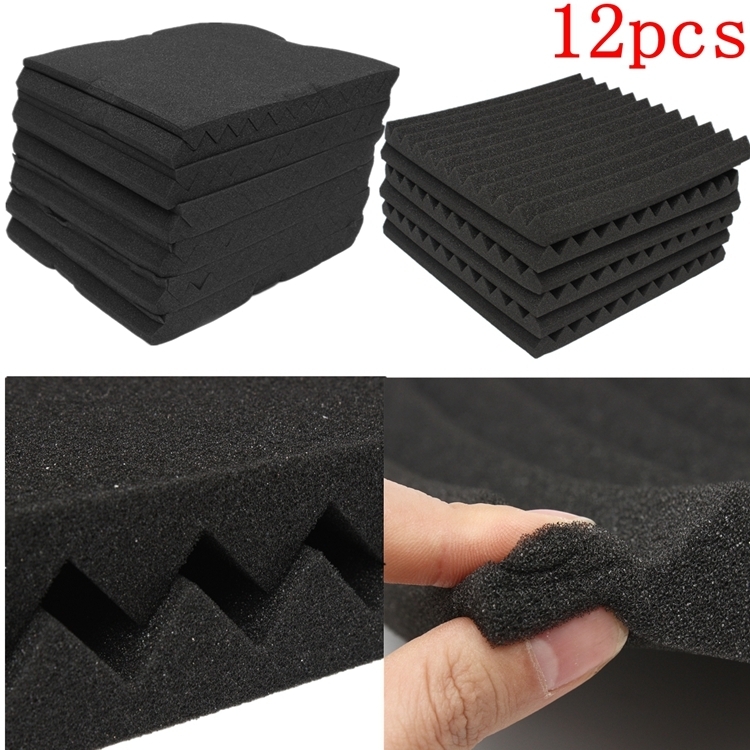 Specification: Material: Polyurethane Foam Size:(L)*(W)*(H): 30cm*30cm/11.8" X11.8" Thickness: 2.5cm /1" Color: Black Features: Brand New and High Quality. 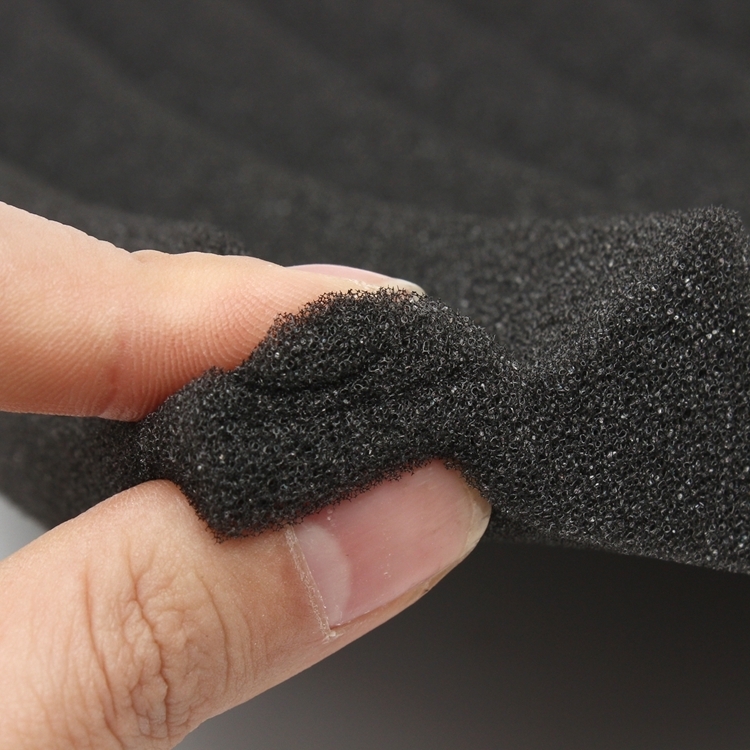 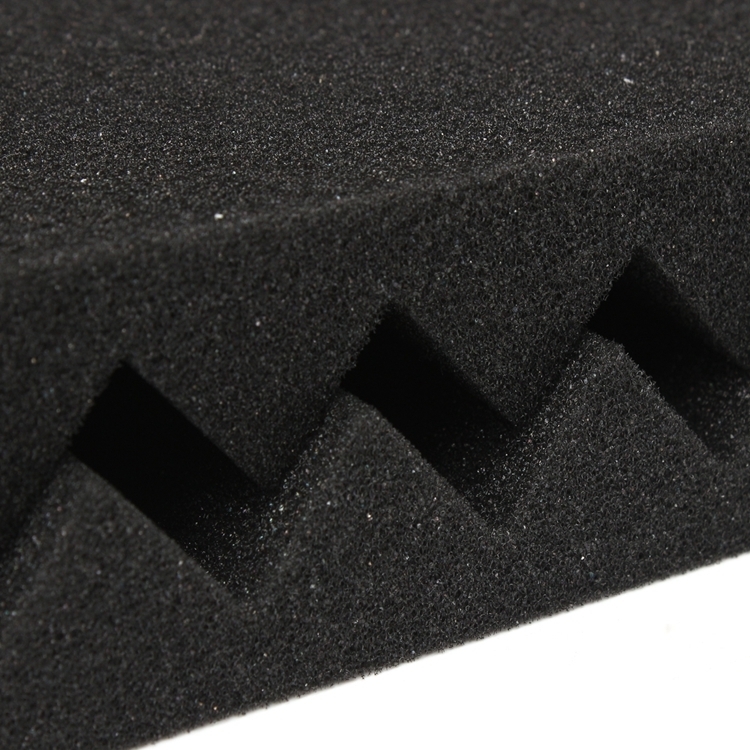 The sponge is non-toxic, tasteless and safety The sponge is the best tool use for sound insulation, sound-absorbing. 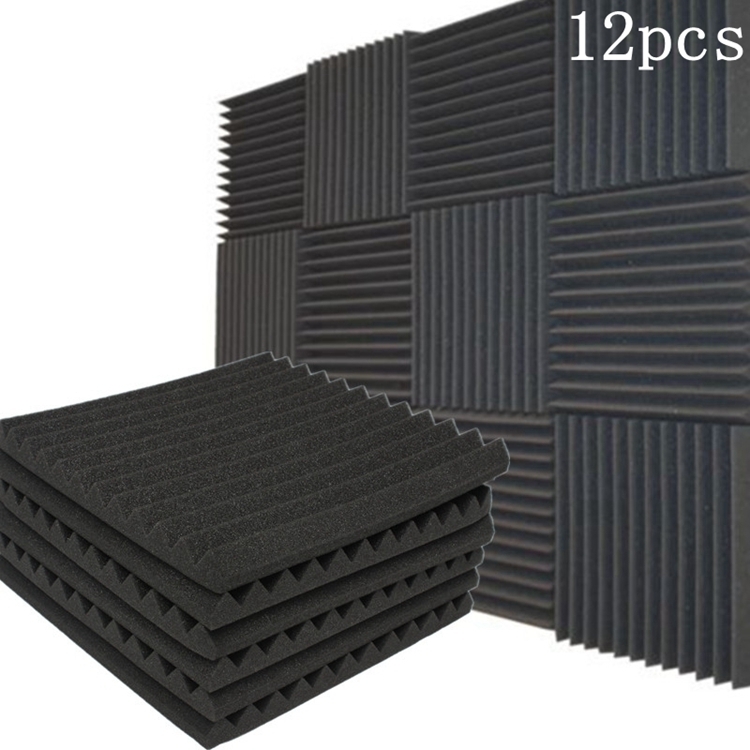 It can be used in sound recording studio, control room, home theater, KTV, and many other places. Sound-absorbing sponge is base on sponge for further processing, noise can be absorbed beacause it is reflected in the sponge which do not spread outside. 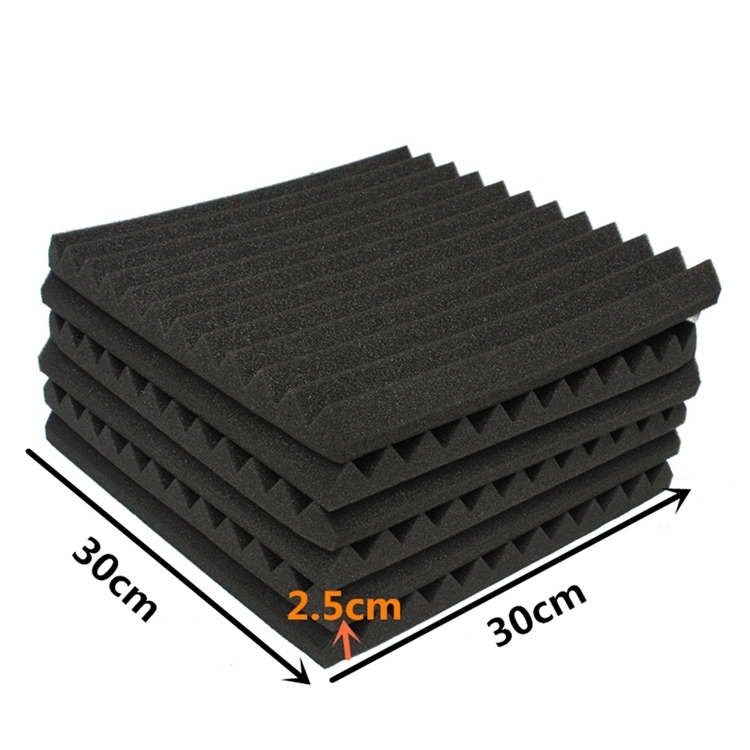 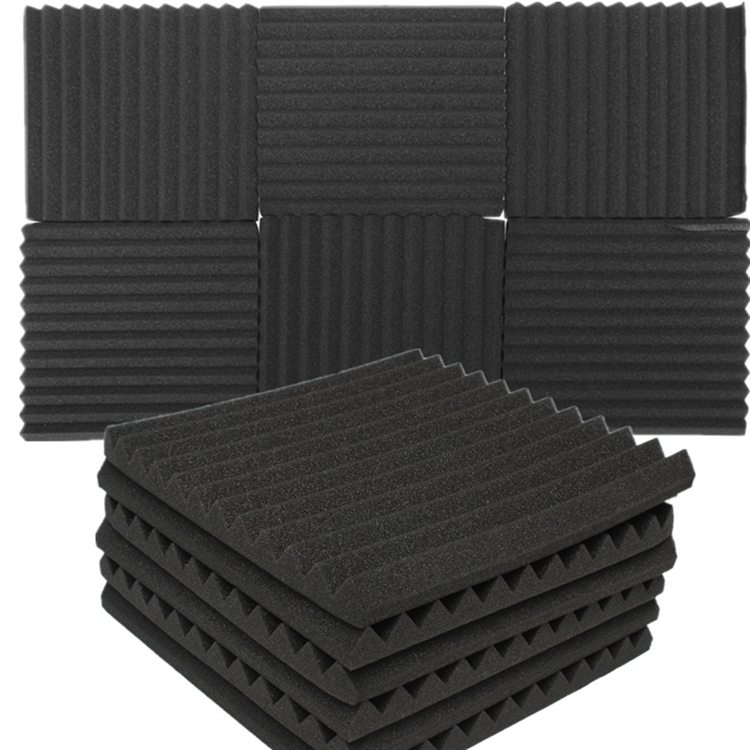 Package included: 12 x Soundproofing Foams Notice: Please allow 1-3cm error due to manual measurement and make sure you do not mind before ordering. 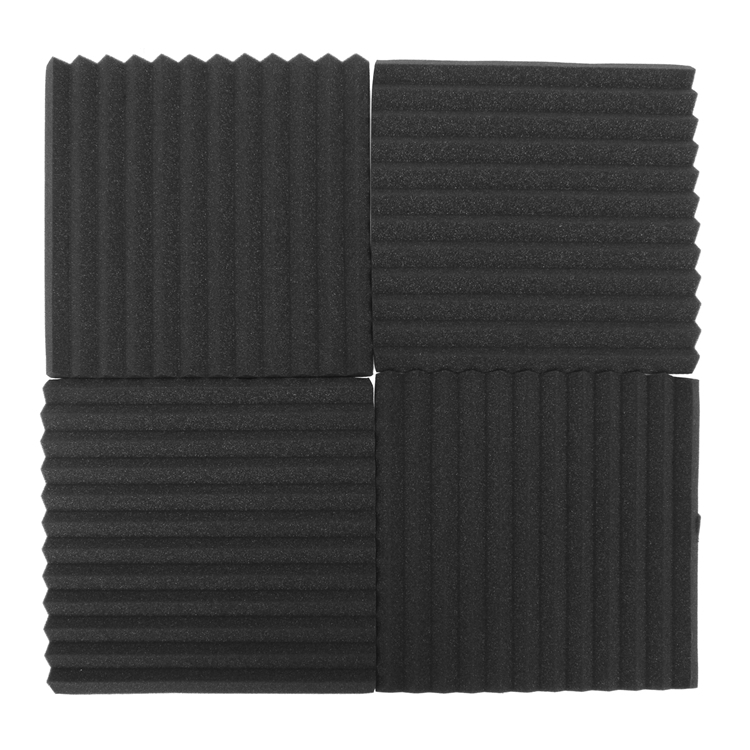 Please understand that colors may exist chromatic aberration as the different placement of pictures.